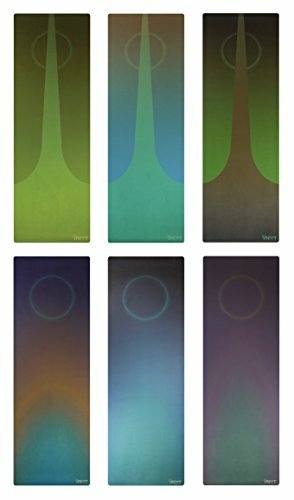 Our EcoFuse Yoga Mat features a thick natural rubber base for durability, sustainability, and practicality, with an in-house design that aims to enhance and support your yoga journey. Balance is essential to our practice and to our lives, and the art we create with INEYT strives to walk the line between inspiration and introspection, creation and restoration. Go beyond the basics and elevate your yoga experience. The best of both worlds: a dense rubber base fused with a plush microfiber towel top. 72" x 24" x 4.5mm: more density and length than most comparable mats on the market. 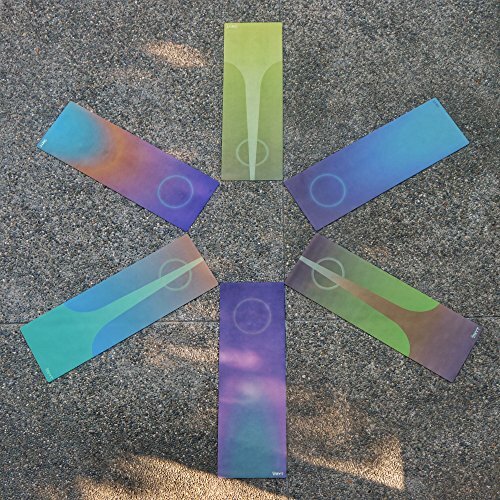 Our mats are designed for all body types and provides cushion for pregnancy and prenatal yoga. Non-fading, water-based inks ensure your design will stay bright for years to come. Enjoy and explore your practice with durable, reliable tools. Mindful, clever design promotes greater focus and helps align your body during use. Soothing colors bring peace of mind and promote relaxation and focus. Easy care and cleaning will help keep your mat like new for years to come. Hot yoga, Bikram, Hatha, Ashtanga, Pilates, Prenatal, Pregnancy, and meditation. For simple maintenance, wiping down with mild soapy water or mat spray will keep your EcoFuse Yoga Mat in optimal condition. ECOFUSE CONSTRUCTION: 4mm of dense natural tree rubber provides a supportive and durable base, while the .5mm microfiber top layer offers plush cushioning and unsurpassed grip when wet. Designed to ensure comfort for people of all shapes and sizes. With premium high density rubber, your knees, hips, and joints will thank you practice after practice. 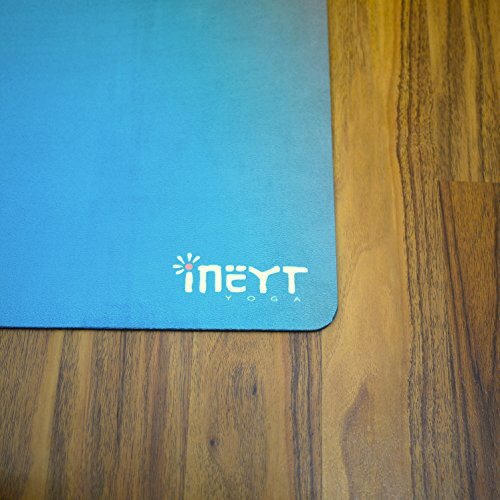 HELPFUL DESIGNS: Each INEYT product is carefully drafted and designed in-house by their own team of artists. Our colors have been carefully chosen to provide a balanced, gender-neutral palette. Mindful design features help guide your body, provide focal points for balance, and sooth and calm the mind. MINDFUL MATERIALS: EcoFuse mats feature biodegradable natural tree rubber and entirely water based inks for responsible and renewable production. Designed for yoga, but equally practical for pilates or other general exercise, our all-purpose premium yoga mat has excellent slip resistance so you can focus on your practice. GENEROUS SIZE: At 72" long and 24" wide, the EcoFuse mat is comfortable and long enough for all body types. 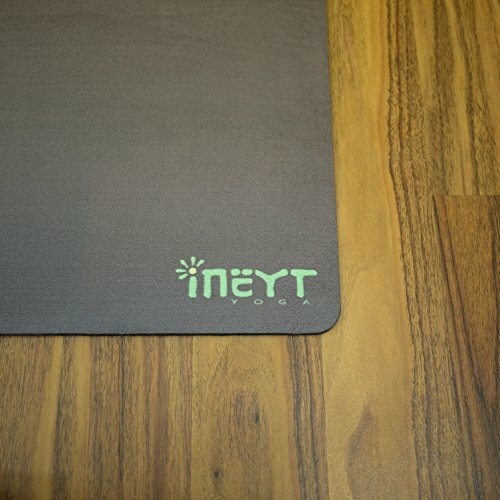 At 4" longer than most yoga mats, you'll benefit from more coverage to help keep your face and feet off of the floor. SWEAT ACTIVATED: Whether at hot yoga or simply sweating during an intense practice, EcoFuse mats are designed to continue to improve their grip the more sweaty they become. Moisture resistant technology makes for happier yoga sessions, as well as simple clean up and mat maintenance.